Photographed by Vishesh Verma. Styling by Nisha Jhangiani. 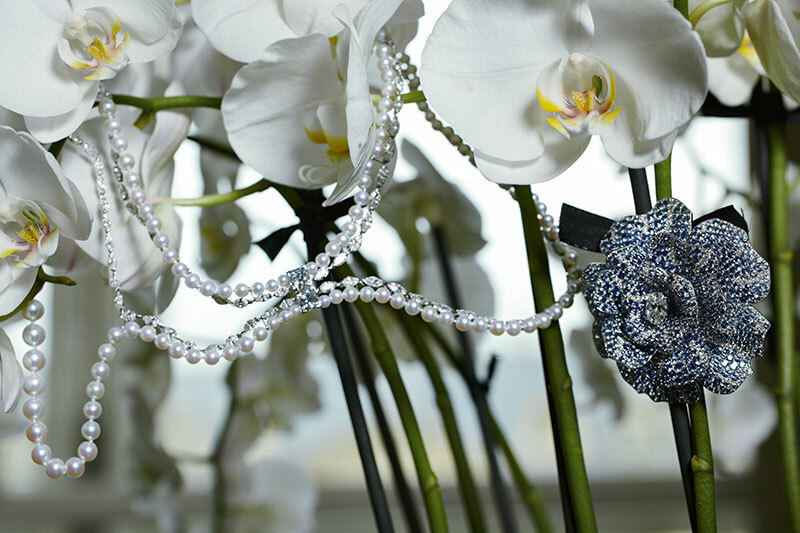 All Watches And Jewels From Chanel Fine Jewellery. 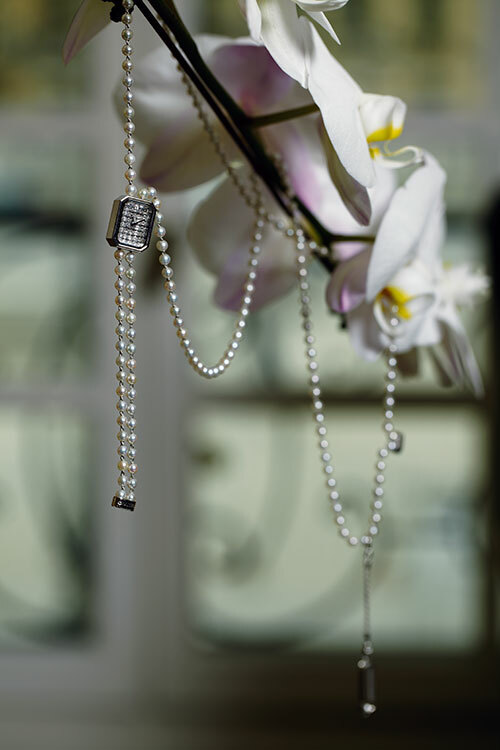 ‘Blé’ necklace in 18K white gold, set with two princess-cut diamonds of two carats each, 101 navette-cut diamonds for a total weight of 22.5 carats, 16 brilliant-cut diamonds and 137 Japanese cultured pearls; ‘Camélia’ brooch in 18K white gold, set with 195 diamonds for a total weight of two and a half carats and 934 blue sapphires for a total weight of 67 carats. 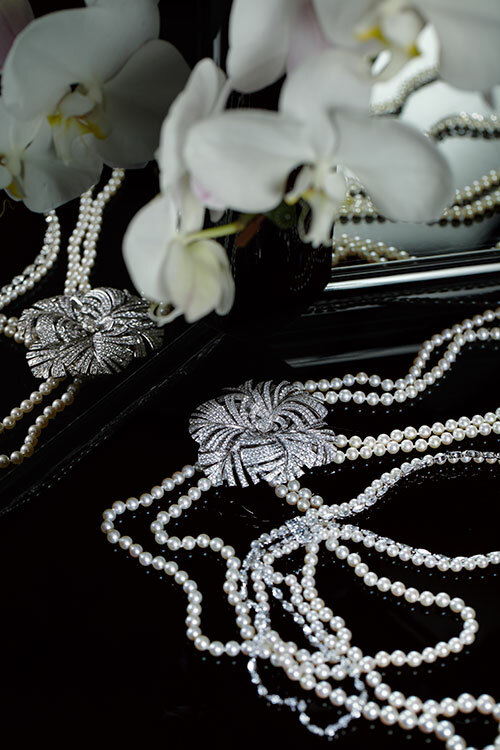 ‘Panache’ necklace in 18K white gold, set with one round-cut diamond of two carats, 980 brilliant-cut diamonds for a total weight of 24 carats and 268 Akoya pearls. 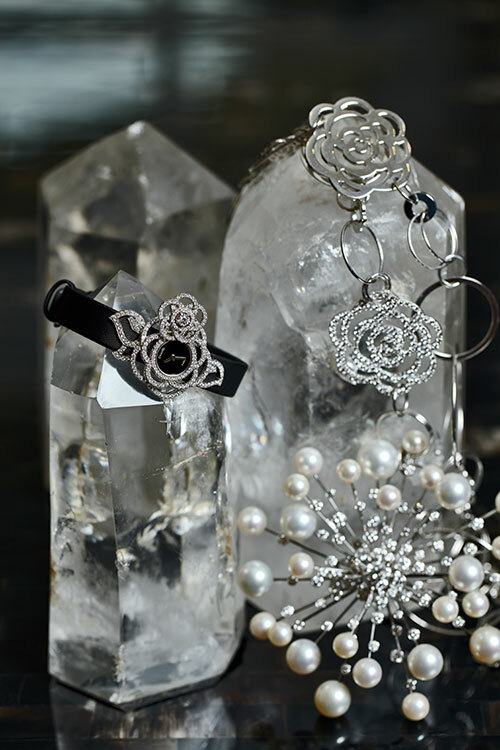 ‘Camélia Brodé’ black satin strap watch in 18K white gold, set with 283 white brilliant-cut diamonds for a total weight of two and a half carats; ‘Camélia Ajouré’ necklace in 18K white gold, set with 754 diamonds for a total weight of 10.4 carats; ‘Swing Perle’ brooch in 18K white gold, set with a 2.37 carat round-cut diamond, 77 diamonds for a total weight of 6.06 karats, 14 South Sea Pearls and Akoya pearls. ‘Première pearls’ watch, in 18K white gold, dial set with 34 baguette cut diamonds, bracelet made of white gold threads with 194 Akoya pearls.